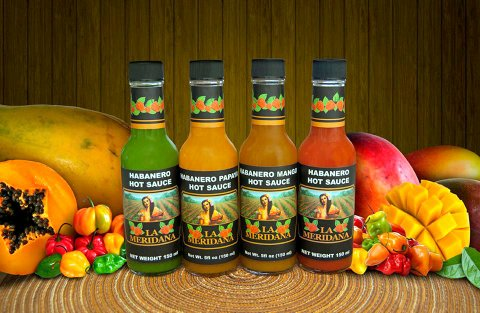 FIRE UP YOUR PASSION FOR HABANEROS IN EVERY BITE. 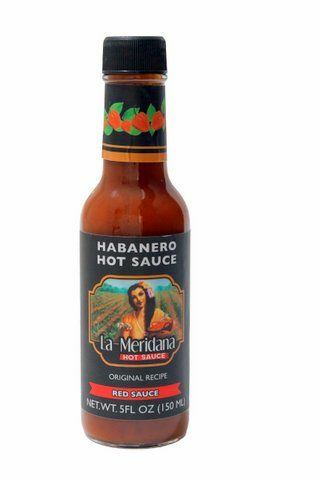 To make the original La Meridana Red Habanero Hot Sauce, it combines the best habanero hot peppers with fresh tomatoes, then season them with fine herbs, creating an extraordinary explosion of flavor and spiciness in every bite. 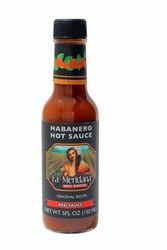 La Meridana Red Habanero Hot Sauce and Mango Hot Sauce are the winners of the 2nd Place in the categories Hot Sauce/Habanero and Sweet Heat/ Sweet Sauce of THE SCOVIE AWARD in 2018. 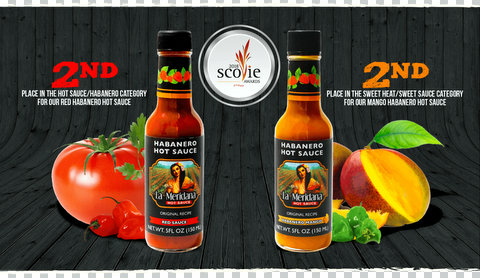 The Scovie Awards Honors Best Spicy & Savory Food Products in the World. The Scovie Awards evolved from the National Fiery Foods & Barbecue Show after 1996 when the contest was called The Fiery Foods Challenge. Originally, it was part of the show and even had a People's Choice Award that was voted on by the general public. It was renamed The Scovie Awards to honor the memory of Wilbur Scoville, the scientist who invented the Scoville Organoleptic Test in 1912 to determine the heat scale of chile peppers. Taste the delicious flavor of the roasted tomatoes and spices. Great on Menudo! The heat level seems to linger for just a bit in your mouth and then it disappears creating a delicious heat with the foods that you eat. ProsYou can't stop eating it. Great on Dips.